I love everything retro. Make it music-related retro and I am all in. So it follows that I fell in love with these Vinyl Record kitchen work surfaces from Joseph Joseph. 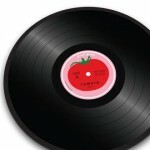 About the Vinyl Record surfaces from Joseph Joseph: “These retro designs are sure to spark feelings of nostalgia and are therefore perfect for both music lovers and cooks alike. Made from toughened glass and with non-slip rubber feet, these multi-function boards provide a hygienic, odor- and stain-resistant work surface for all types of food preparation. As much as I love the idea of using these as a cutting board or other intended use, I think there may be other uses. I can see these Vinyl Record surfaces as the center piece on a table, or as a cover for the top of a nightstand or as a charger plate for a cool dinner party. Anyway, I just love them. See all the cool and functional products of Joseph Joseph here. 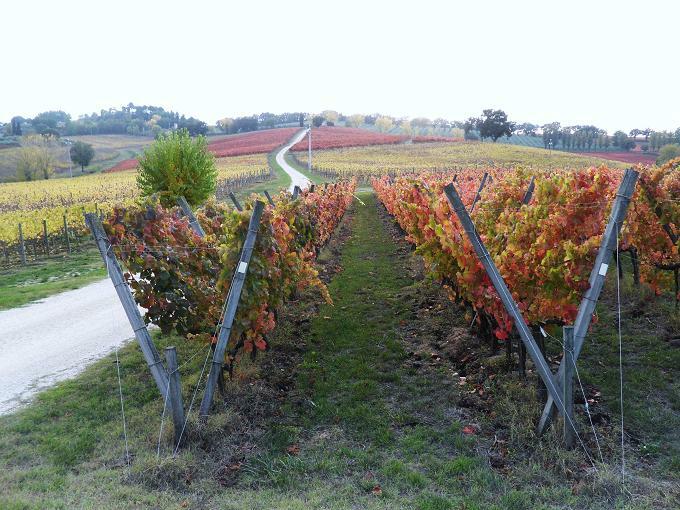 Today is my final post (at least for now) of reminiscences of my trip to Italy last fall. Today, I bring you some notes about Umbrian wines and ceramics. One of the great joys of our trip to Umbria was a visit to the vineyards of Arnaldo Caprai. The vineyards were stunning with post harvest hues and the tour was interesting and informative. Even I as a non-wine-drinker enjoyed the tasting and tour and we had a nice time. My traveling companions, my sister and niece, really enjoyed Arnaldo Caprai’s Anima Umbra Bianco – a few bottles of which I have secured stateside for future gifts. Finally, after all the food, wine and sightseeing, we did a lot of shopping and enjoying the local artisans. I was taken by the wonderful ceramics that were everywhere. In particular, I loved the Ceramics of Rolando and Goffredo Nulli. And last but not least, here is one final plug for our friend Roberto Angelini at Enoteca Properzio in Spello – where we spent a few glorious hours tasting wine, olive oils, balsamics and other Umbrian treats – truly the highlight of our trip. While I was visiting my great friend Lynda and her husband over the New Year’s holiday, I was thrilled to find a copy of Garden & Gun magazine laid out with all the other periodicals on their coffee table. I had never seen the magazine before and was tickled by it’s title. 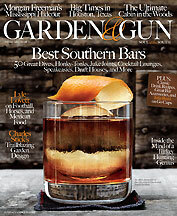 Garden & Gun celebrates the best of southern living and is simple fabulous. I was browsing the magazine and enjoying it when I asked Lynda about it. She said she loved it too and knew I would and had already ordered me a gift subscription. Needless-to-say I was thrilled. Garden & Gun has great features about the culture and lifestyle of living in the southern U.S., which is a real treat for those of us Yankees in New England. There are great features about southern food, gardens, travel and all sorts of other southern treats. Of course I am thrilled by all the attention bourbon receives in the pages Garden & Gun – editorially and in advertisements. Visit the Garden & Gun website here. Subscribe to Garden & Gun here. I have turned back to fiction to help me pass the cold winter nights here in the north country of New Hampshire. I usually steer clear of the popular novels of the day, you know the ones that end up on everybody’s lists and become the favorites of the cul-de-sac book clubs (i.e., The Help). That being said, there is usually a reason this type of book is popular, as they are often entertaining and sometimes even genuinely good. One such book is The Night Circus by Erin Morgenstern, which has been receiving a lot of attention since its publication – with readers, critics and award committees. I was intrigued by the book’s premise: a traveling circus that comes and goes without warning and is only open at night. I picked up the The Night Circus (Kindle version), despite the kudos and recommendations I read about it, and was totally charmed. The circus is a backdrop to a fantastical competition and romance, featuring a gallery of interesting characters and settings that more than entertain the reader. As much as I tend to avoid popular fiction, I also generally do not care for stories that involve the mystical and the occult. However, a good story and well developed characters can go a long way in entertaining even a crank like me. 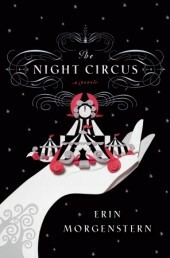 The Night Circus by Erin Morgenstern is definitely a novel to put on your late winter reading short list. The Night Circus is available form Amazon and other fine retailers. Today in New Orleans, Mardi Gras is in full swing on the last day before the Lenten season begins. All over town, revelers are swinging on lampposts never really looking up to see the amazing gas lamps that line the historic streets of the French Quarter. I for one would be noticing, and admiring, the lamps and the craftsmanship that went into them and their reverence for a time long past. This is why I love Bevolo Gas and Electric Lights, a New Orleans based company that produces gas lamps with expert craftsmanship, including their signature French Quarter Lamp, part of their copper lights collection. Picture a few of these French Quarter Lamps gracing your back yard where you can evoke the spirit of New Orleans all year over and swing from you very own lamppost whenever you want – even without beads as an incentive. See all the great lamp designs of Bevolo here. Another great picture of Tamworth, NH’s Mount Chocorua in in winter. The relatively mild winter has led to an early recession of the ice on the lake. 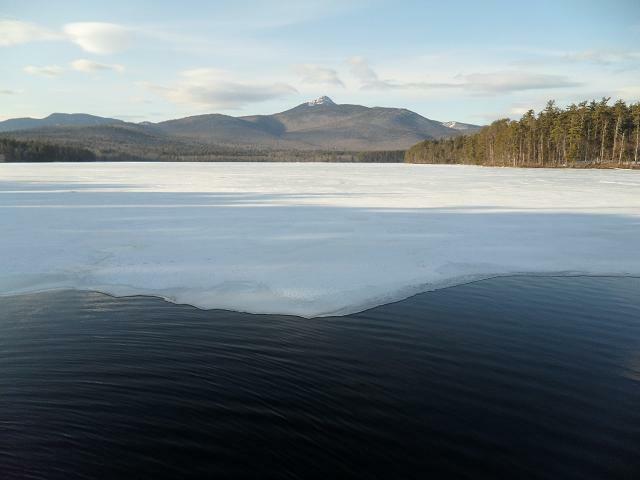 However, the basin of Lake Chocorua is still deeply frozen and it will be some time before the canoes and kayaks launch. 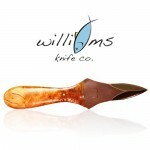 The North and South unite with today’s “find” – these really cool Oyster Knives from Williams Knife Company. The North bit is that one of my favorite places on earth, Wellfleet, MA on Cape Cod, is world famous for their oysters. The South bit are these knives themselves, offered exclusively by Charleston, SC’s The Charleston Angler. I need to state that I don’t care for oysters and have no good reason to buy a oyster knife. However, I love the whole culture around oysters – and they way they are harvested, served and eaten in ritualistic fashion. And this knife is just very cool – a piece of art in fact – and despite its relatively high price tag, most likely the perfect gift for anyone you know who enjoys oysters fresh out of the shell. See all the products and services offered by The Charleston Angler here. I am finishing up my posts from my notes of my trip to Italy last fall. That’s the official explanation of today’s Postscript, but I am thinking it may have more to do with a major case of wanderlust that I have which I am pretty sure is a symptom of my much larger case of Cabin Fever. Whatever it is, it has been fun reliving a great trip to an amazing place. 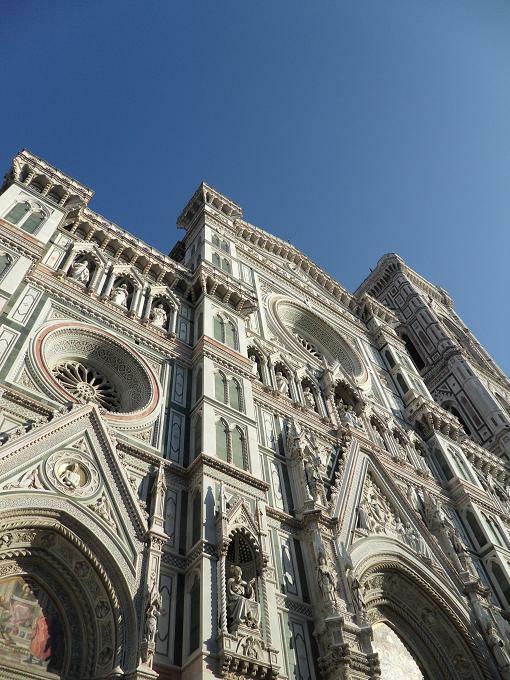 Today, I share two great hotel finds in Italy – in Rome and Florence. Next week, some notes about wine and other Tuscan and Umbrian treats. If you are looking for a nice and affordable boutique hotel in Rome, I highly recommend the Hotel Panama Garden. We stayed at this charming hotel for a few nights on our trip to Rome last November and it was delightful. The rooms were modern yet included some nice old world charm. My room was small, but what it lacked in space inside was made up by the private terrace overlooking a quiet residential street. If you are like me and like to stay in a neighborhood when visiting new cities as opposed to being right in the city center, then Hotel Panama Garden is a good pick for a trip to Rome. You can get a feel for what it is like to live in the city while being close to all the sights without feeling too much like a tourist. Likewise, for our visit to Florence, we stayed on the northwest side of the center city in a lovely residential neighborhood at the Hotel Villa Liana. This hotel was wonderful. The rooms were large and quirky fun. My room had marble floors and Tuscan pillars. My traveling companions’ room had a mural on the ceiling that rivaled the Sistine chapel. The best part of the Hotel Villa Liana was that we just happened into it after our first choice had a booking mix-up and sent us there. We could not have been more thrilled to be bumped after we saw this place. FOUND: A Vintage Vending Machine for… Wait for it… Whiskey! I’ve always wanted an old vending machine or pinball machine in my house. When I was a kid we had a 1940’s juke box that played 78 rpm records which was really cool. From time to time we had various old arcade machines make their way through and it was always fun. My oldest brother used to buy broken down machines, repair them, and resell them. He would enlist me and my friends to test them out and it was great. I remember an old arcade shooting gallery that stayed in the garage for a while that kept my brother in nickels from the local kids for quite some time. However, one machine I never saw come through the house was an Automated Whiskey Machine. 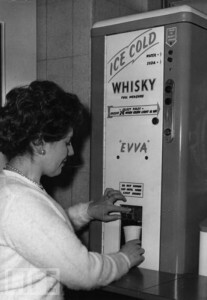 Believe it or not, there was a whiskey vending machine back in the day – something I doubt we will ever see the likes again. I came across this picture (below) in the archives of Life Magazine circa 1960. The machine pictured was a prototype that appeared at a vending machine industry exhibition in London. 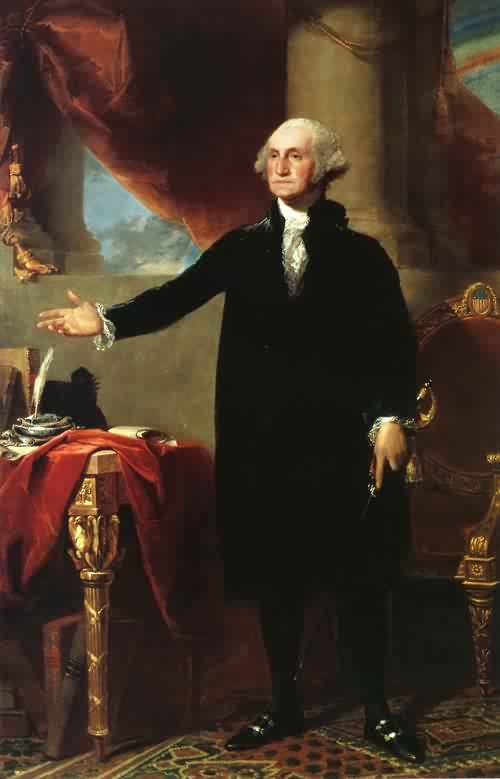 You could serve up straight whiskey, or have it mixed with soda or water. I am not sure if it ever took off, but I love the idea of it. Lost Cowboy is powered by	WordPress 5.0.4 and delivered to you in 1.377 seconds using 62 queries.